Can fundamentalist colleges trust their faculty? We see this week an unfortunate blow-up in the continuing saga of power struggles at Bryan College in Tennessee. Does this bitter squabble between president and faculty represent an inherent problem for conservative evangelical schools? The history of these colleges suggests something along those lines. According to Chattanooga’s Times Free Press, Bryan President Stephen Livesay has doubled down on his fight for control. As we’ve documented in these pages, for the past few years the college has gone back and forth in its struggle, with faculty approving a no-confidence vote last spring, and members of the board resigning this past summer. 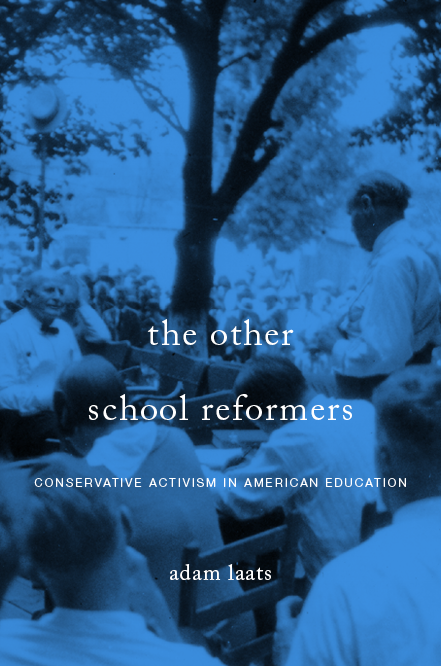 As SAGLRROILYBYGTH are sick of hearing, I’m up to my elbows in my new book about the twentieth-century history of conservative evangelical colleges. Time and again, administrators and trustees have demonstrated a deep distrust of their faculty. two of them orthodox. (But not obnoxious.) My loyalty was never questioned. . . . It simply never occurred to me that I was not free to express my opinions and I did express them. How was I to know that loyalty meant dictatorship? Perhaps more famously, this pattern was repeated at Bob Jones University in the 1950s. Ted Mercer was fired in the summer of 1953, accused of a host of crimes including planning a “revolt of many faculty members.” Mercer himself claimed to have been blindsided by his dismissal. Maybe he had become too popular with students and faculty. Perhaps Bob Jones Sr. was too zealous in his jealousy of other administrators. In any case, Mercer went on to a long career at Bryan College. 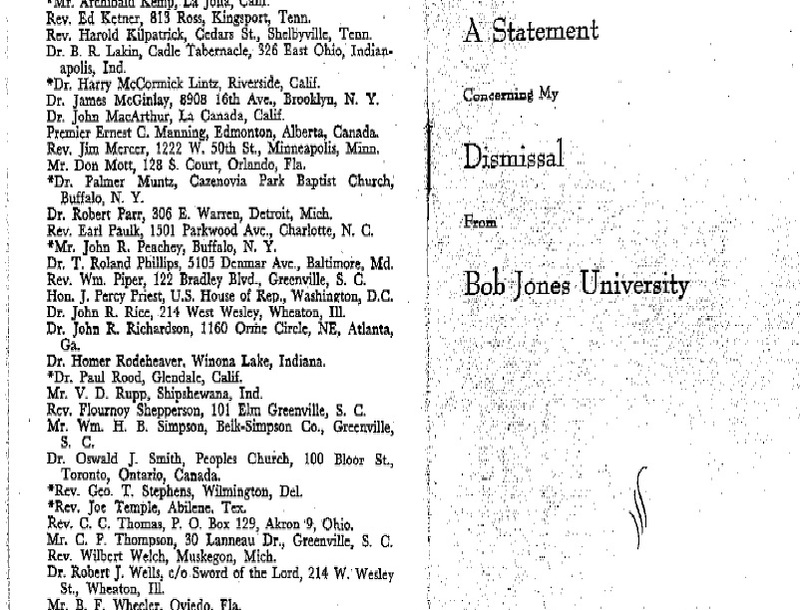 The abiding distrust of faculty at fundamentalist colleges has not been unique to Bryan and Bob Jones U. At Wheaton College as recently as 1961, faculty scientists were pressed into a needless and humiliating mea culpa. After a conference on evolution and creationism in 1960, anxious trustees forced Wheaton administrators to tighten the school’s official position on the origins of humanity. No longer would it suffice for faculty to agree that God created. Since 1961, they have had to affirm that Adam and Eve were real historical personages and the true parents of the species. Professor Russell Mixter had to affirm his orthodoxy over and over again in order to allay the fears of Wheaton’s guardians of orthodoxy. This sort of contrived impotence may seem shocking to those unfamiliar with the unique traditions of fundamentalist higher education. Within that charmed circle, however, it seems like nothing more than a new take on an old tradition: When the going gets tough, the faculty get blamed. Livesay learned this behavior well at his alma mater. His parents taught at BJU while he attended, and his sister still teaches there. Bryan also has the media directing some sunlight on its problems, and that will probably mean that Bryan will endure. Best to you. The more of us studying the intersection of politics and evangelical education the better. Basically, a few professors endorse evolution (supported by many students) and then the school’s President, trustees, and missionary donors crack down to enforce their ouster. Have you ever studied the faculty shake-ups at Southern Baptist seminaries in the 90’s, especially at Southern and Southeastern, when the Convention was trying to steer the seminaries away from liberalism? It was pretty intense. I agree that it’s a perfect example of this sort of dilemma. I haven’t studied it in any depth. I’ve relied on the work of Barry Hankins to educate me about recent SBC history.